Note: These areas of daily life are your daily mission fields. As a side note, you may be interested to know that Martin Luther first named our fields of daily life (Robert Benne, Ordinary Saints, Fortress Press, 2003, Part III). He called them home, work, community, and church. With the much easier travel and communication that characterizes our times, we need to consider not just our local communities, but the larger world as well. We refer to it as the wider world and it includes everything from social norms to issues in government and voting. And, although we may feel harried, we’re still not working like the medieval serfs of Luther’s time, so leisure or re-creation has also been added to the list of daily life fields. 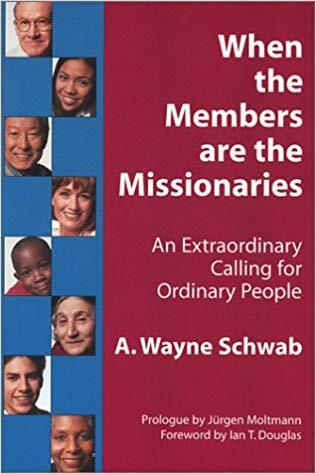 Member mission recognizes the pioneering work of Mark Gibbs, a leader in the rediscovery of the daily ministries of each of the baptized, whose work reemphasized these areas of our lives and included both wider world and leisure. Member mission has added church to Gibbs’ list. Further, we see two parts to church life towards one’s spiritual health and how one’s share in church life and its outreach. While these are inseparable, we need to look at each by itself to give each the attention it deserves. Review what you’ve done, either alone or with your partner. Are there any surprises? You will probably find that you’re already at work for God! Wherever and whenever you work for love and justice, you are doing the Lord’s work. This workbook is devoted to making you better at it. You’ll focus your efforts better and be more ready to ask for God’s support and help in all you do.